What is the difference between the CV1 and the CV2? What calibres were used in the full contact tests? Has the vest been tested against other ammunitions the NIJ 0101.06 Standards don’t use? Our covert bullet resistant vests model CV2 is currently being worn by international Special Ops Units, Secret Services, Diplomatic Protection Teams, Personal Security Details (PSD) and many others who have a precise operational need for concealable ballistic protection. 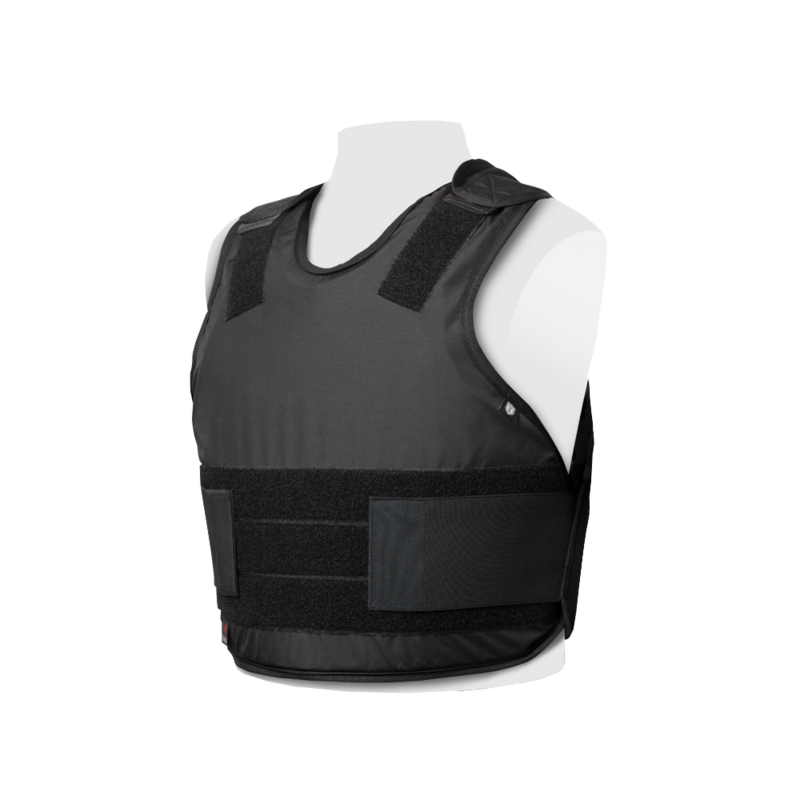 Offering not only NIJ Std 0101.06 Level IIIA certified ballistic protection, our covert bullet resistant vests also protect the wearer from full contact shots as required by the FBI and the infamously stringent German Police body armour test protocol. Official test reports are of course available upon special request. This advanced design of our covert bullet resistant vests has also been successfully tested against a general issue TASER® device, which was recently conducted in a realistic operational setting – with a negative effect on the wearer. The wearer was not incapacitated by the Taser discharge nor suffered any effects of the device. In case you are interested in additional information on our covert STAB resistant vests please click on the link.